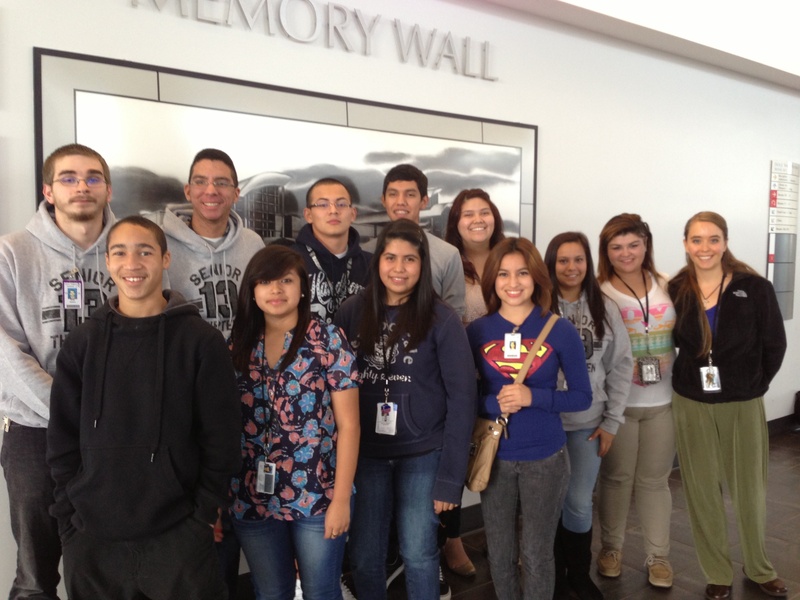 A group of high school seniors pose outside their classroom at Singley Academy. They are fundraising to go to the presidential inauguration in January 2013. Thursday, November 15, 2012. Irving, Texas. (Abril Murillo/SMU).